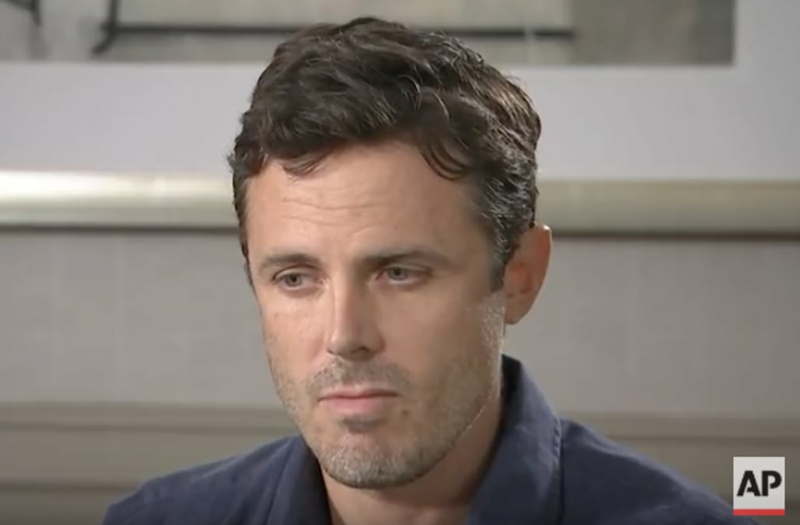 LOS ANGELES (AP) — With a new movie coming out this fall, “The Old Man & The Gun,” Casey Affleck is speaking publicly about bowing out of presenting the best actress Oscar and past harassment allegations against him amid the #MeToo and Time’s Up movements. Excerpts from the conversation, Affleck’s first interview in a year, have been edited for clarity and brevity. A video of the interview can be seen here: http://apne.ws/nJjWUgU. AFFLECK: I love David (Lowery), I love working for David and it’s my third movie with him and he always assembles a really nice group of people around him. It’s such a nice experience to watch one of his movies. They all have a very gentle quality to them... And Robert Redford, what is there to say? He’s a legend, an incredibly sweet guy and just sharp as a tack. It was lovely working with him. AP: The last time we spoke you were promoting another David Lowery film, “A Ghost Story.” What have you been up to in the last year? AFFLECK: I made “The Old Man & the Gun,” I made another movie called “Light of My Life,” and I’ve just been spending the rest of the time with my kids and my girlfriend and just trying to squeeze in a little bit of life. And if I’m not promoting a movie, I’m not going to do any press, so that’s why you haven’t heard from me. AP: During your best actor Oscar campaign for “Manchester By the Sea,” allegations resurfaced regarding two civil lawsuits from the making of your film “I’m Still Here,” that were settled in 2010. But we haven’t heard from you since #MeToo and Time’s Up became a big talking point in the culture. Has that made you reflect on or reevaluate anything about the experience or the atmosphere on that set? AFFLECK: First of all, that I was ever involved in a conflict that resulted in a lawsuit is something that I really regret. I wish I had found a way to resolve things in a different way. I hate that. I had never had any complaints like that made about me before in my life and it was really embarrassing and I didn’t know how to handle it and I didn’t agree with everything, the way I was being described, and the things that were said about me, but I wanted to try to make it right, so we made it right in the way that was asked at the time. And we all agreed to just try to put it behind us and move on with our lives, which I think we deserve to do, and I want to respect them as they’ve respected me and my privacy. And that’s that. AP: I know you talked last year about taking your kids to women’s marches and trying to educate them. Is there anything that has come up since #MeToo and Time’s Up emerged in the culture? AFFLECK: Well I’ve taken these lessons with me that I’ve learned not just to work but to home and as dad and it informs how you parent. I have two boys so I want to be in a world where grown men model compassion and decency and also contrition when it’s called for, and I certainly tell them to own their mistakes when they make them. AP: You’re also a boss, you have a production company, Sea Change Media, and you’ve directed your first film since “I’m Still Here” too. Can you talk about how you have evolved and changed to create a safe working environment for people who work for you? AFFLECK: I think that, there’s been a lot of talk about new things in regards to the workplace and I have this production company and this very, very smart woman runs it with me and she’s been way ahead of the curve on all of these issues. But I think bigger picture, in this business women have been underrepresented and underpaid and objectified and diminished and humiliated and belittled in a bazillion ways and just generally had a mountain of grief thrown at them forever. And no one was really making too much of a fuss about it, myself included, until a few women with the kind of courage and wisdom to stand up and say, “You know what? Enough is enough.” Those are the people who are kind of leading this conversation and should be leading the conversation. And I know just enough to know that in general I need to keep my mouth shut and listen and try to figure out what’s going on and be a supporter and a follower in the little, teeny tiny ways that I can. And we do that at our production company and I try to do it at home, and if I’m ever called upon by anyone to help in any way and contribute, I’d be more than happy to. AP: Your “Manchester by the Sea” director Kenneth Lonergan had implied that you had been treated unfairly. Do you have any response to that? AFFLECK: Whether I have or haven’t, I think that there are people in the world who deal with much greater hardship than that. And they do so without complaint. So I don’t think I need to say anything else about it. AFFLECK: Whitaker (Lader), who runs the company, does all the good work and then I kind of make some noise on the sidelines too. We’re trying to find people who can tell stories that we don’t usually see in mainstream pop culture, movies, media, Hollywood, with storytellers who need a hand.